One of the biggest shortcomings in Stock Android was the lack of a functional screenshot editor. Yes, one can install a third-party photo editing software and use it to manipulate images, but ain’t nobody got time for that. In April of last year, Google finally began testing a built-in screenshot editor but it never saw the light of day, until today, when the feature is finally being rolled out. The Google app with version 7.21 provides users with sharing and editing tools for screenshots taken in the Google Feed and Search. 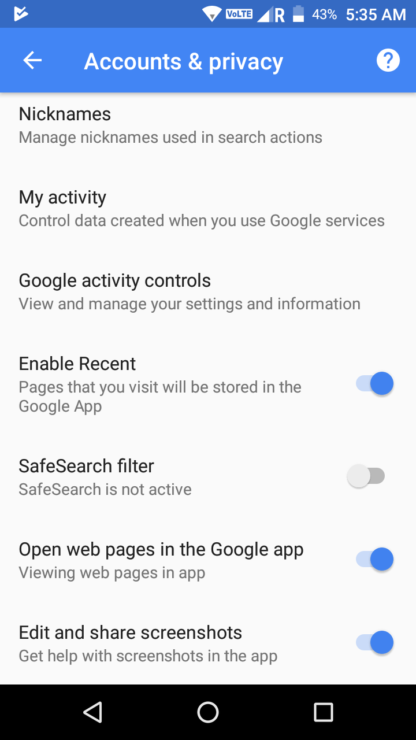 To enable, head to the Google app’s Settings and then Accounts & privacy. You’ll have to sign up to be a beta tester of the app in order to get the version 7.21, on which the feature is currently active. Once you’ve signed up for the beta, head over to the Google App settings and under the “Accounts and Privacy” tab, you’ll see a new toggle called “Edit and share screenshots” as the last item in the list. 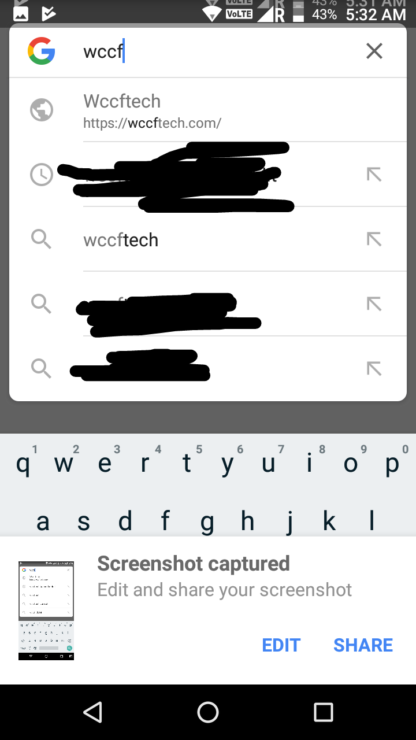 Once toggled on, taking a screenshot in the Google app will slide up a panel from the bottom of the page that features a small preview and options to Edit or directly Share, which opens the system sharing menu. While this panel is on-screen, the screenshot is loaded in the background and can be dismissed by swiping away the pane or scrolling. Tapping Edit opens up a basic editor with options to crop and doodle. The Doodle features a palate of seven colors to draw, highlight, or block out items in your screenshot. Once done, tapping the center check mark will save the image to your device’s Screenshots folder and open the share menu by default, for some reason. 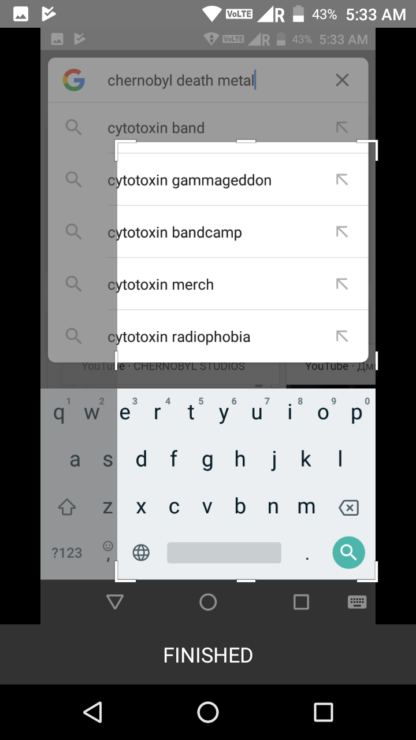 The feature works throughout the Google app, including the Feed, Search results, and on web pages viewed through Chrome. However, screenshots taken outside of these apps cannot be edited using the new editor. After its all said and done, the editor is very limited in functionality, but we’ll take what we can get and hope that Google builds upon it. Companies such as Samsung and Huawei have had feature-rich screenshot editors for several years now, and we simply cannot fathom why Google couldn’t be buggered to develop one.